Look Good…Feel Better is a non-medical, brand-neutral public service program that teaches beauty techniques to cancer patients to help them manage the appearance-related side effects of cancer treatment. It is open to all women with cancer who are undergoing chemotherapy, radiation or other forms of treatment. We feel that programs such as Look Good…Feel Better, or any aesthetic training resources, would greatly benefit patients with autoimmune diseases, especially lupus. Our lupus patients need our support too, and what better way than to provide them with aesthetic skills and resources to face their daily challenges with greater confidence? Is that too much to hope for? Let me tell you about lupus now, since you may not know about it. It is an autoimmune disease. What do I mean by that? Usually our immune system mounts a fight for a valid reason, e.g. infection or when it sees something that does not belong to the body. Once this intrusion is over, our immune system declares peace. However, in people with autoimmune diseases like lupus, the immune system mounts a war for not a very valid reason. It begins to fight cells of our own body that are very much destined to be within our body. This may lead to inflammation within various organs in the body, and damage to the organs if not controlled. Any organ may be affected. What is impressive about the disease is that it mainly affects women, and that too when they are young (20-30 years). It may not only affect their physical abilities, but also mood. Tiredness, pain, sleep problems, anxiety and depression may all occur. It may cause visible rashes, scars, pigment issues, hair and teeth loss, weight loss, etc. Stress may cause a flare. For treatment, corticosteroids and medications used in chemotherapy are used, and these may cause weight gain, acne, facial hair, loss of hair, etc. These issues affect their body image, self-esteem and confidence, and collectively lupus and its treatment may interfere with dating, education, career, job, marriage, intimacy, having children, etc. With younger patients, their coping skills, developing self-esteem and resources to deal with these issues may also not be as good as someone in their 40s and older. Our own research at the Rush Lupus Clinic shows that patients with lupus have a poor body image. Their overall quality of life is much worse than most common chronic disease patients. At the Rush Lupus Clinic, we see and hear the challenges faced by our lupus patients on a daily basis, and we are involved in efforts to raise awareness about this disease in the community as well as research in body image issues. 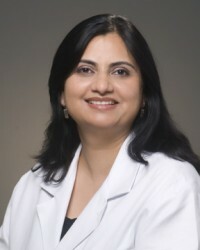 Meenakshi Jolly, MD, is director of the Rush Lupus Clinic, and is an assistant professor at Rush University Medical Center. This entry was posted in Uncategorized and tagged autoimmune disease, lupus. Bookmark the permalink. I have 2 very close friends who have Lupus and I have witnessed the devastating self-esteem issues this awful disease can create firsthand. I applaud the efforts you guys are making to raise awareness about this disease in the community as well as when it comes to research. It will definitely help a great deal of people. Thank you for bringing to light such a crucial and painful part of Lupus that is so commonly overlooked. I had low self esteem for years and worked very hard to move past it. Unfortunately about a year later I had my first Lupus flare and received my diagnosis. Having always had lovely skin and good hair it devastated me to look in the mirror most days. However good skin care, protecting yourself from the sun, and taking good care of yourself will help you feel and look better. Also remember: protecting your SCALP is just as important as protecting the rest of your skin. Hats cat not only be an awesome accessory to any outfit but I have noticed that my hair loss has greatly decreased since I started wearing hats to protect my scalp. Remember you are beautiful not matter how badly you may feel about yourself. Facing down the challenge of Lupus shows your true strength and beauty.